Zoëtry Wellness & Spa Resorts are the perfect place to find yourself when you’re looking to relax. With some of the world’s best spas and luxurious accommodations, choosing the best ways to relax can get complicated. To ease your decision-making, here are our five favorite ways to relax while staying with Zoëtry Wellness Spa & Resorts! The Spa. Indulge in an immersive treatment at one of Zoëtry Wellness & Spa Resorts world-class spas. Choose from extensive menus of services to treat your body from head to toe. One of our resort spas in particular, the Thalasso Center & Spa at the Zoëtry Paraiso de la Bonita Riviera Maya is especially relaxing, thanks to its 22,000 square foot facility. The first certified spa of its kind in North America, the Thalassotherapy treatment uses freshly heated sea water, seaweed and marine mud to cleanse and invigorate the body. Who wouldn’t want to spend the day at the spa? The Food. 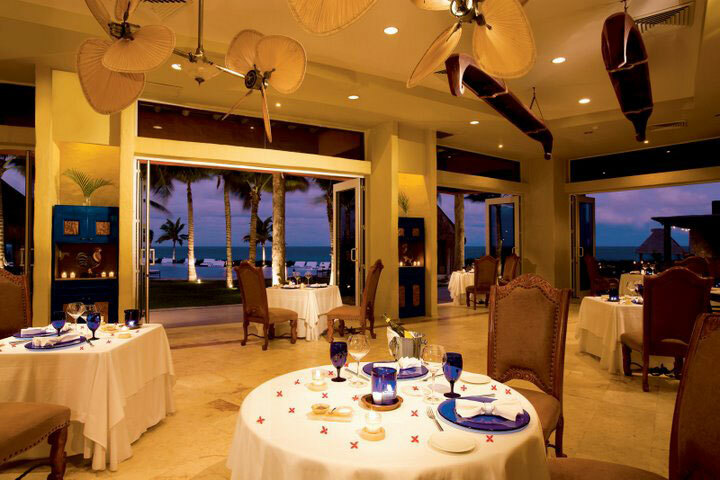 Enjoy gourmet dining experiences at a selection of different restaurants at each one of our resorts. From AAA Four Diamond rated French restaurants, to world fusion and locally inspired flavors, you are sure to find dishes that fit your flavor. You can also pay a visit to our casual beachside bars for a quick bite and cocktail so you can get back to the pool as soon as possible. For those with insatiable taste buds, take advantage of your Endless Privileges® and participate in Sip, Savor and See, allowing you access to tons of neighboring resorts’ gourmet dining options, in addition to the selection at Zoëtry. The La Canoa Restaurant at Zoëtry Paraiso de la Bonita Riveria Maya features Cuisine de los Soles, a fusion of spices and chilies. The Greens. Play a round of golf while staying at Zoëtry Wellness & Spa Resorts for the peace that only a round on a Caribbean golf course can bring. Each resort is located just minutes away from world-class courses, which are sure to challenge your game while putting your mind at ease. These courses are great for amateurs and pros alike! The Water. 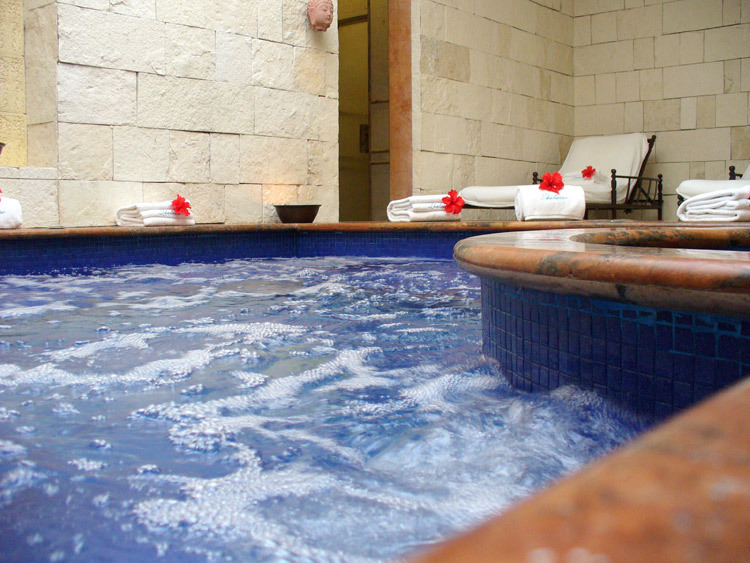 Take a dip in one of our luxurious swimming pools to refresh your body and mind. Depending on which location you are staying, you have choices of several different world-class pools. Some have serpentine water trails and quiet lagoons, while others are filled with salt water. You can float in an adults-only pool or be waited on while relaxing poolside. 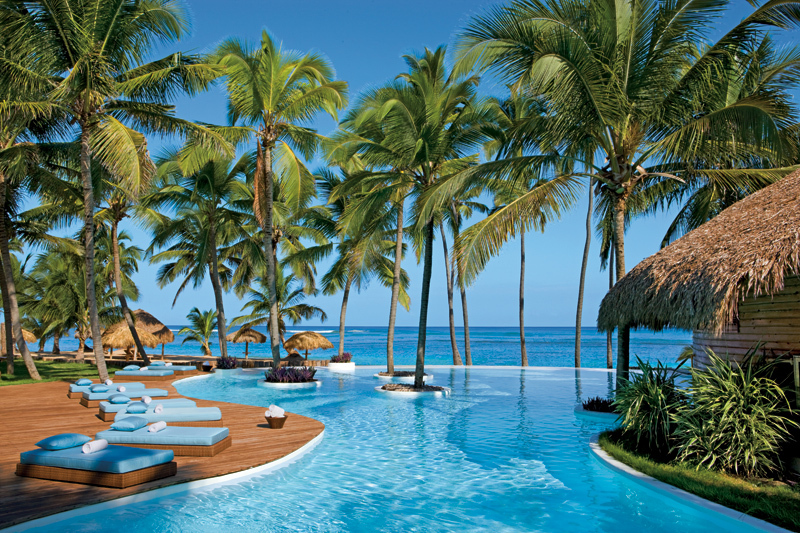 Zoëtry Agua Punta Cana features an amazing infinity pool with gorgeous views of the palm-studded, white sand beach! The Accommodations. Enjoy some time in your luxury suite. While Zoëtry Wellness & Spa Resorts have many options for relaxation and activity, sometimes it can be most relaxing to enjoy the amenities of your room. Put on your luxury bathrobe and enjoy the Endless Privileges® benefits of 24-hour in-room dining. Sip refreshments from you mini-bar, which is refreshed twice daily. Take a bath with your complimentary Bvlgari bath amenities – the possibilities within your room are endless. 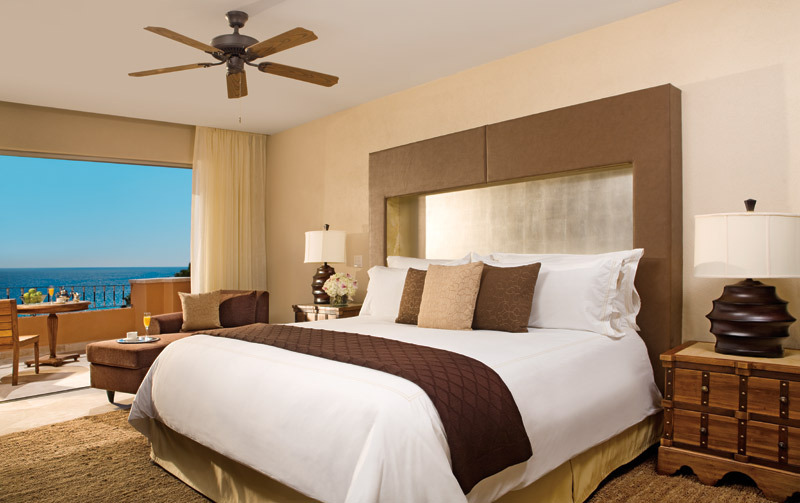 The Presidential Suite at Zoëtry Casa del Mar is the ultimate luxury suite offering guests the best in amenities to relax during their stay with us. The Presidential Suite at Zoëtry Casa del Mar offers two bedrooms, each with their own bathroom, expansive ocean view terraces and a fully-equipped kitchen with Miele™ appliances. We hope these ideas inspire you to take some time devoted to letting yourself unwind while visiting Zoëtry Wellness & Spa Resorts. This entry was posted in Zoëtry Agua Punta Cana, Zoëtry Casa del Mar, Zoëtry Collection, Zoëtry Paraiso de la Bonita, Zoëtry Wellness & Spa Resorts and tagged dining experience, food, Golf, Spa, swim, ZoetryResorts. Bookmark the permalink.